Southern Coast Electrical Services specializes in new and existing electrical contracting projects of all scope and sizes. We have been a trusted partner to our valued customers for over 12 years. We employ a staff of fully licensed and accredited electricians and tradesmen to complete your project as planned. 24/7 emergency electricians are on call for all areas of South Florida. Customer satisfaction is our primary concern and your satisfaction our ultimate goal. We specialize in commercial, residential, new, rework, high-rise, 24/7 emergency, and industrial electrical services. We have successfully completed 1000’s of jobs throughout South Florida with pride in workmanship while delivering real value. We specialize in electrical contracting services in Palm Beach County, including West Palm Beach, Lake Worth, Delray Beach, Boynton Beach, Boca Raton and Jupiter. We cover Broward County electrical contracting needs in all areas, including, Deerfield Beach, Pompano Beach, Coral Springs, Fort Lauderdale and Hollywood. 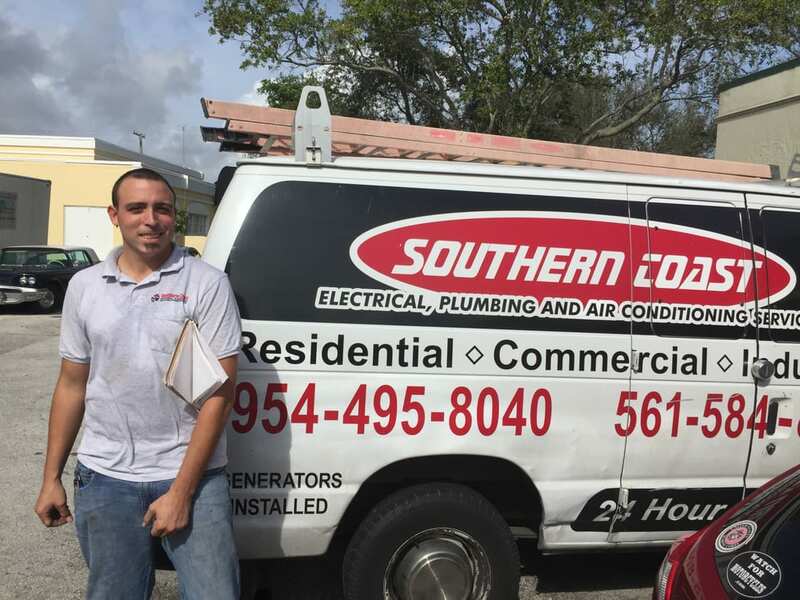 Southern Coast Electrical Services covers all of South Florida 24/7. Southern Coast Electrical Services will complete your job on time and within budget. Typically, quality and value are frequently promised but rarely delivered. At Southern Coast, we pledge to perform all work just as planned with no surprises. We understand that your unique project is the most important job we will undertake. That’s why we offer a thorough estimate, addressing your unique situation before we begin any work. Find out what our valued customers throughout South Florida have learned. We really do care and we will make every effort to ensure your complete satisfaction. What can Southern Coast Electrical Services do for me?